Stories about the effects of man-made environmental disasters, the fight for women’s rights and an international refugee crisis were recognized at the 2018 Gabriel García Márquez Journalism Awards. The report “Un niño manchado de petróleo” (A boy smeared with oil), by Peruvian journalist Joseph Zárate and published by Spain’s Revista 5W, won in the text category. Upon accepting the award, Zárate thanked the people whose stories he told in his report, which chronicled the impact of a petroleum pipeline break and cleanup on the Aguaruna people of the Amazon. In the image category, the winner was “Memoria, verdad y justicia para las pibas” (Memory, truth and justice for the gals) by Leonardo Vaca and María Florencia Alcaraz, published by Revista Anfibia of Argentina. The winning photographs tell the story of the fight for women’s rights and the Ni Una Menos (Not one less) movement in Argentina. 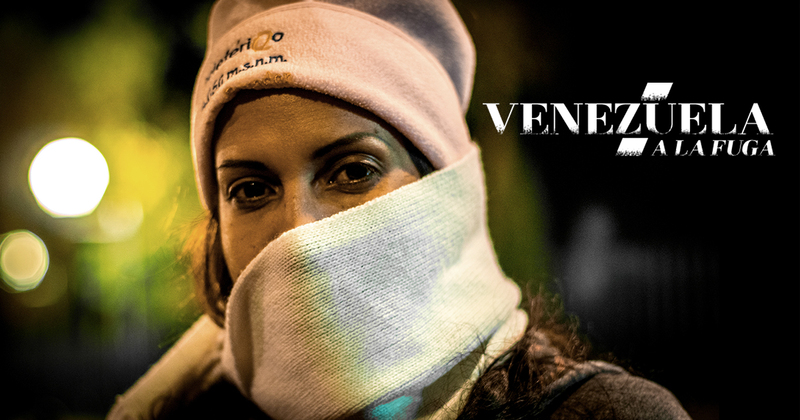 The collaborative report “Venezuela a la fuga (Venezuela On the Run), published by newspaper El Tiempo in Colombia and digital site Efecto Cocuyo of Venezuela, won in the coverage category. The multimedia project follows the routes and tells the stories of the Venezuelan refugees who have fled their country to find respite in other parts of Latin America. And in the innovation category, the jury recognized the graphic report Los desterrados del Chaco (The exiles of the Chaco) published by El Surtidor in Paraguay. The multi-part project uses innovative graphics and scrollytelling to tell the story of the deforestation of the Chaco. The winners, chosen from 12 finalists, were announced at an awards ceremony in Medellín, Colombia as part of the Gabo Festival organized by the Gabriel García Márquez Foundation for New Ibero-American Journalism (FNPI for its acronym in Spanish). In addition to these winners, Diego Martínez Lloreda, director of information at newspaper El País de Cali, was recognized with the Clemente Manuel Zabala Award for an exemplary Colombian editor. “Diego Martínez Lloreda has confirmed his great ability and quality as information director of El País de Cali, where he has been working for 24 years, catapulting him to the seat of one of the most important regional media (of the Valle del Cauca) in the country,” the jury wrote. For the final day of the festival, Oct. 5, you can follow certain events via livestreaming or through the hashtag #FestivalGabo. You can also find other videos as well as news articles about different festival events. *Rosental Alves, founder and director of the Knight Center for Journalism in the Americas, is a juror for the awards.